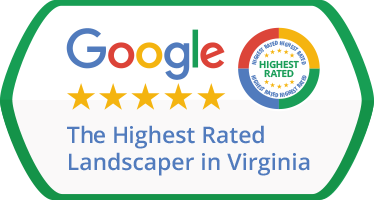 Who can you call when you want the absolute best, in terms of landscaping in Bethesda VA? 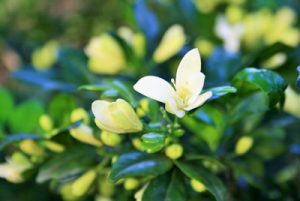 Green Hill Landscaping, of course, the top landscaping contractor that can handle all your needs promptly, professionally, as well as in a friendly manner. We believe that quality is the cornerstone on which all successful accounts are signed, sealed, and delivered. That’s why we invest time and energy into training all our experts and technicians in the latest trends and industry resources, when it comes to landscape maintenance and turf management. Not only are they up to speed with all the goings-on in the field, but you can also recognize them from a mile away: they are that team of landscaping technicians which is always donning a clean uniform. Also, all our staff speaks English. We pay just as much attention to the kind of equipment we use for landscape maintenance, flower planting, and lawn mowing. On the one hand, it’s because we are a company based on professional principles, which takes its commitment to quality seriously – we will spare no efforts to see that you get the best and most beautiful lawn possible. On the other hand, it’s a reason of pride in and of itself to keep our tools and vehicles clean and well-maintained. To boot, we’re well aware of the fact that a seemingly insignificant detail, such as a lawn mower with dull blades, can completely ruin a lawn. That’s why we always advise prospective clients to let the professionals take care of cutting the grass for them. Personalized landscaping. Bethesda VA want some beautiful lawns? Some of the other specialized landscaping services we handle include spring mulching, fertilization & weed control, seasonal pruning, and just about everything that has to do with landscape maintenance (including irrigation service). We will work together with you throughout the entire process and take care to approach each client’s lawn & landscape as unique. Green Hill is a serious landscaper, which plans to stay in this business for the long run. We want to be here for you and your outdoor property for many years to come and our roster of happy customers stands as proof to our dedication. So let us prove to you that we are one of the most serious landscape companies out there: give us a call and let one of our staff members take over your inquiry. We’ll be happy to be of assistance!